The Human Body: Linking Structure and Function provides knowledge on the human body's unique structure and how it works. Each chapter is designed to be easily understood, making the reading interesting and approachable. Organized by organ system, this succinct publication presents the functional relevance of developmental studies and integrates anatomical function with structure. Dr. Carlson serves as Professor Emeritus of Anatomy in the Department of Cell and Developmental Biology in the University of Michigan Medical School in Ann Arbor. 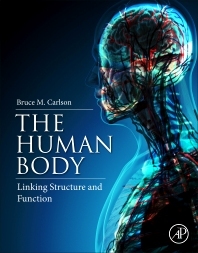 Dr. Carlson is the author of more than fifteen book publications including several books published by Elsevier (Human Embryology and Developmental Biology 1-5/e, Principles of Regenerative Biology, repurposed embryology and physiology texts for Elsevier’s digital Reference Module in Biomedical Sciences in 2014). Dr. Carlson has served as president of the American Association of Anatomists, and president of the Association of Anatomy, Cell Biology, and Neurobiology Chairpersons. Additional honors include the AAAS Newcomb-Cleveland Prize, membership in the Russian Academy of Natural Sciences, and the Henry Gray Award of the American Association of Anatomists. An accomplished teacher, Dr. Carlson has received both the Elizabeth Crosby Teaching Award and the Kaiser-Permanente Teaching Award from the University of Michigan Medical School.